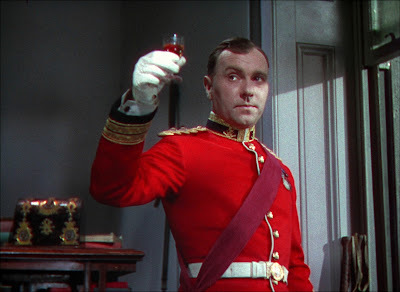 My first viewing of Zoltán Korda's The Four Feathers, the fourth adaptation of A. E. W. Mason's Kipling-esque novel, left me feeling a bit sour. Its depiction of the Arab and African followers of the jihadist Mahdi (affectionately nicknamed "Dervishes" and "Fuzzy-Wuzzies" by the red-coated British conquerors locked in battle with them) is a simplistic caricature at best. Produced by the director's brother, Alexander, the famous immigrant mogul who made it big in England, the movie seems to push the virtues of British imperialism the way you would expect coming from a stranger trying hard to assimilate into the political/economic establishment of the country he now calls home. A second viewing demonstrated something more subversive, however. But first, a quick summary for those unfamiliar with the film. 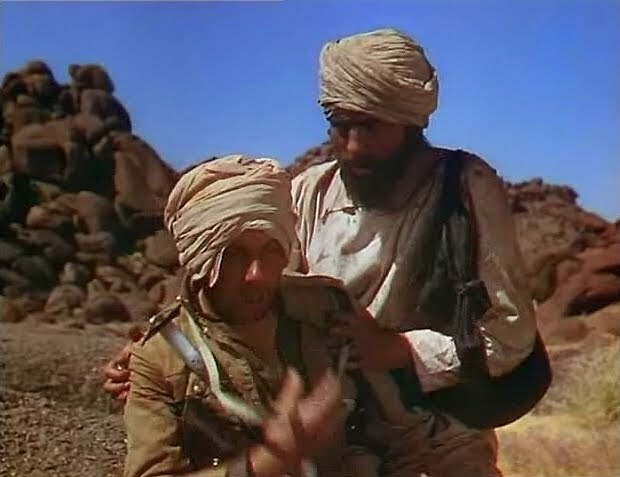 The Four Feathers begins with the stiff John Clements as the even stiffer Harry Faversham, a soldier (from a long line of military men) whose engagement with Ethne Burroughs (June Duprez) comes to an end after he resigns his commission on the eve of the British Army's departure on a mission to reconquer the whole of the Sudan. Receiving three white feathers (the symbol for cowardice) from fellow soldiers and friends—including John Durrance (Ralph Richardson), his rival for Ethne's affections—Faversham plucks the fourth feather from Ethne's plume and walks out on her. But his motivation is less fear than the fear of being a coward. 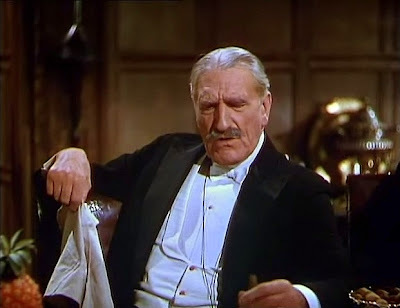 It was a timely concern in the year of The Four Feathers' release, 1939, as the world entered uncertain times not unlike those of today. (FDR had only just driven the point home a few years earlier, "...the only thing we have to fear is fear itself.") So when Faversham goes through the elaborate exercise of making himself up to blend in with the natives—in order to play guardian angel to his battle-worn friends—one could see it as a propaganda-like plea from the patriotic Alexander Korda to his fellow British subjects to get involved in the war effort. ...genuinely abhors what he calls his country's 'idiotic Egyptian adventure.' He views the British pursuit of glory in India, Africa, and China as a way for imperialists to escape domestic responsibilities. It's a fascinating observation that ties The Four Feathers to events happening today. Take the Occupy movement, for instance. Led by disenfranchised youth all over the country, bewildered that the domestic economy suffers while the government continues to squander trillions on extended wars over seas, the protesters view America's imperialism and fearmongering as a means to distract its population from our prolonged economic malaise. They encounter opposition by the old guard in much the same way the pacifist Faversham does from his more conservative cohorts. This is where Zoltán Korda comes in. The director—much more liberal than brother Alex and generally more sympathetic to the conquered rather than the conquerors (according to his son David in a video interview included among the extras)—uses the sequences in which Faversham tries to blend in with the locals as opportunities to highlight the abuse they experience under the yoke of the British. 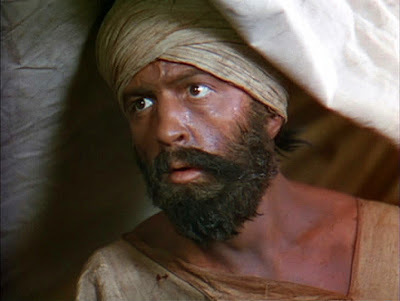 Indeed, further reinforcing the subtle subversion being perpetrated by Zoltán is his—conscious or unconscious—decision to direct Clements to play Faversham a bit looser, more spirited, and yes, more heroic while in his Arab disguise. Clements, a stage actor who seems to chafe under the bright lights and high collar of the gentlemanly Faversham, seems positively ecstatic pantomiming as the mute Sangali tribesman in his ragged garb out in the desert. It's a sharp contrast to Richardson, whose charismatic performance as Durrance is at its apogee when he is the well-composed soldier. In the desert—blind as a result of sunstroke—not only does Durrance begin to fall apart, but Richardson's own theatricality becomes less controlled. What made the supporting actor more attractive earlier in relief to his costar's wooden affect, now seems hammy in contrast to the careful modulation of the movie's lead actor. Which isn't to say it is Richardson's fault, but perhaps the "problem" (in quotes because, admittedly, it may be sneakily deliberate) lies in Korda's direction. Seen from this standpoint, The Four Feathers, often called out for its right-wing sensibilities, actually stands up quite well to criticism by liberals upon closer examination. For while Zoltán's direction doesn't undermine Alexander's obvious aims, it does complicate The Four Feathers enough to give it a measure of depth the producer probably wasn't expecting nor hoping for. Nice review of your second viewing. I think this film stands up well at this time. British chauvinism is clear when the soldiers think the "wog" is pickpocketing the defenseless officer and they want to beat him up. 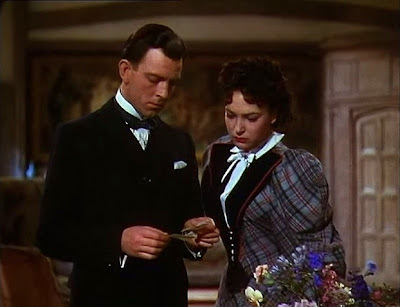 Beyond the film's political messages, right or left, it is a fine example of how dazzling cinematography could be in 1939, and I think its images surpass Gone with the Wind. Yeah, that pickpocketing scene says it all, doesn't it, Hokahey? As for whether THE FOUR FEATHERS beats GWTW cinematographically, I'll give you that in terms of the location shooting out in the desert. No plain, yellow sand here. The desert has never looked so vibrant onscreen, at least not until LAWRENCE OF ARABIA (HOUSE OF WAX director Andre de Toth did second unit work for LOA and TFF) or Nicolas Roeg's WALKABOUT (overlap: Roeg did second unit work on LOA). DP giants Jack Cardiff and Geoffrey Unsworth also worked on TFF's second unit. The movie's imperialist jingoism is a bit hard to swallow than it was when I first saw it as a kid. The photography is beautiful. Is it better than the cinematography for "GONE WITH THE WIND"? I don't. I have my doubts.